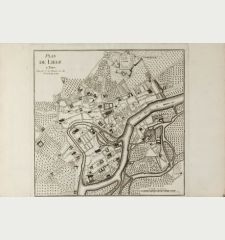 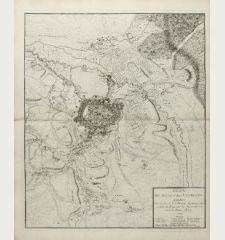 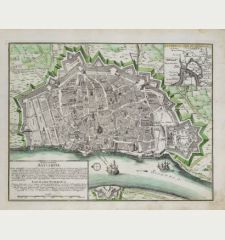 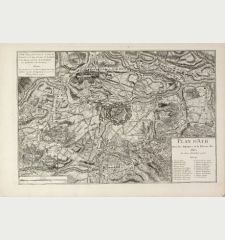 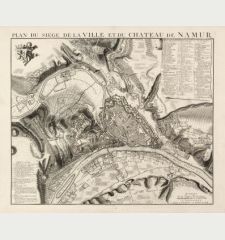 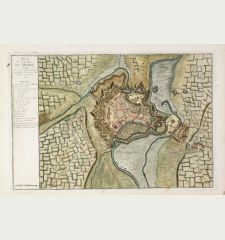 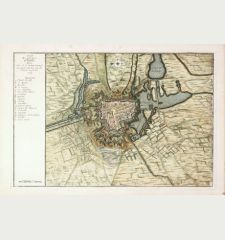 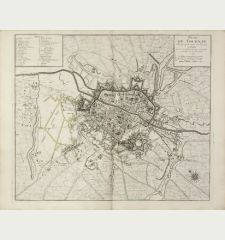 Old coloured map of Namur. 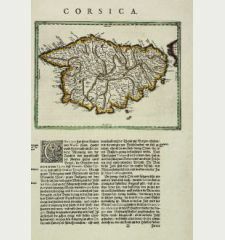 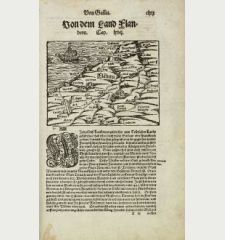 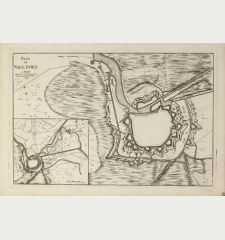 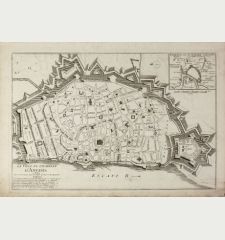 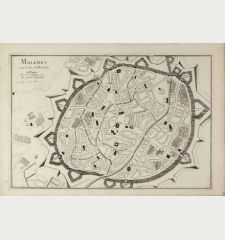 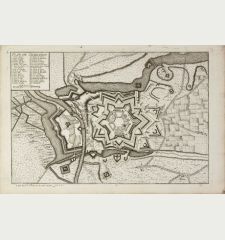 Printed in Amsterdam circa 1660. 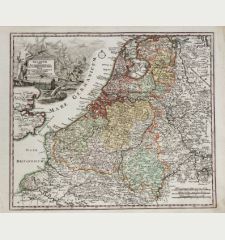 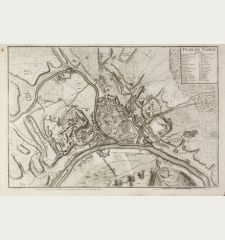 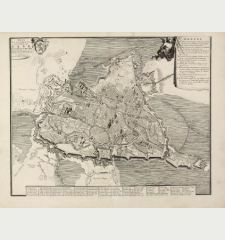 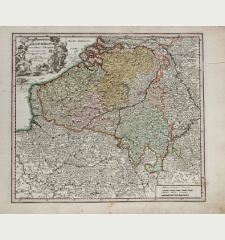 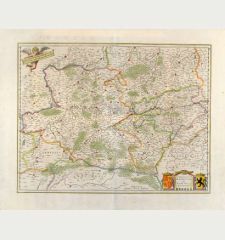 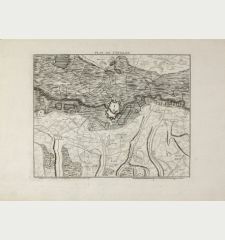 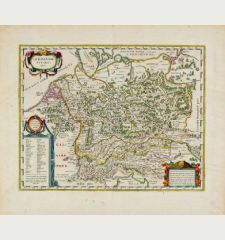 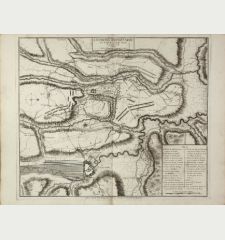 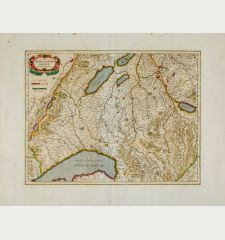 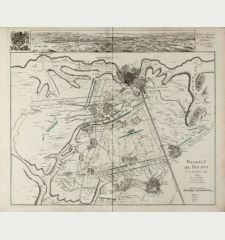 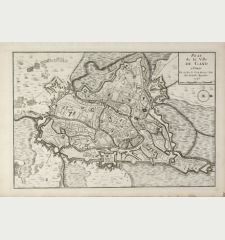 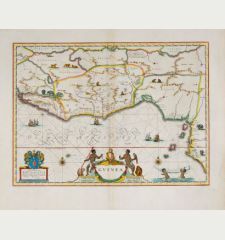 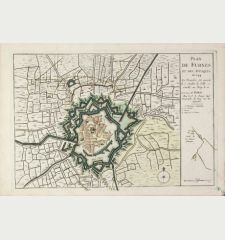 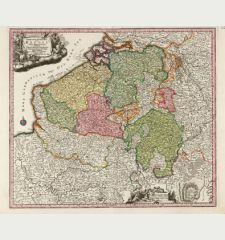 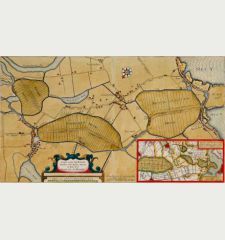 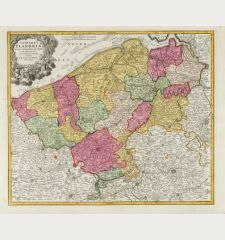 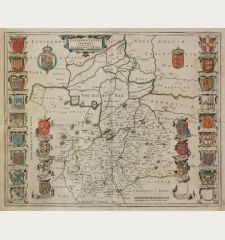 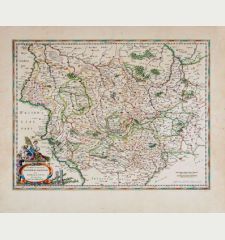 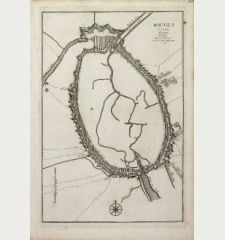 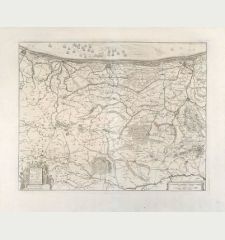 Old coloured copper engraved map of the central part of Belgium by J. Blaeu. 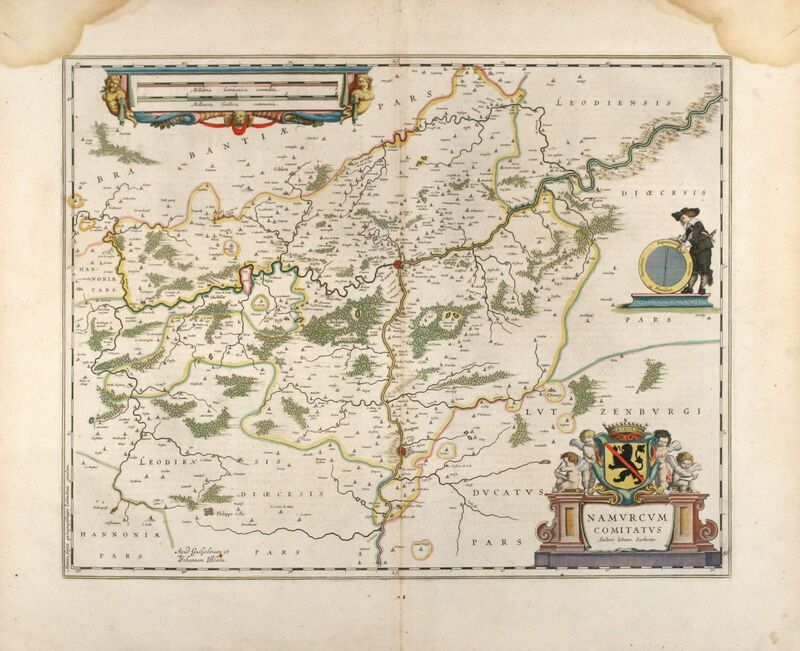 Showing the regions around Namur and Dinant. 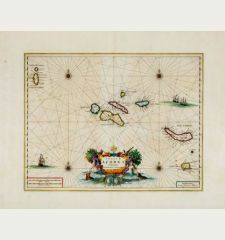 Cartouche with coats of arms and cherubs, unusual compass rose flanked by a Gentleman. 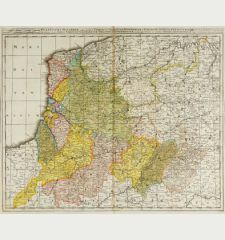 From a Spanish edition of "Atlas Maior". 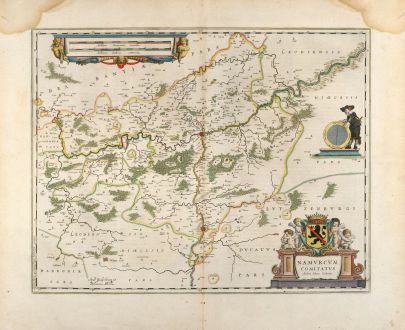 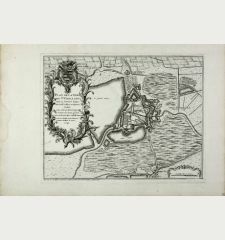 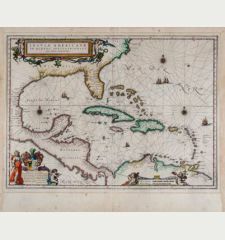 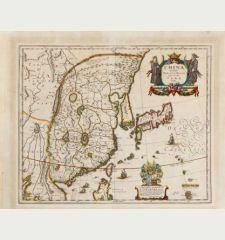 Willem Janszoon Blaeu: Namurcum comitatus Auctore Iohann Surhonio.